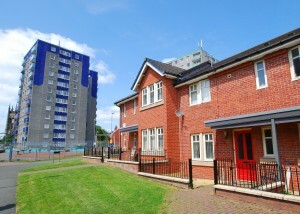 At Ashton Pioneer Homes we strive to maintain our properties to the highest possible standard. Using our in-house Estate Services and Neighbourhood Services Teams plus external contractors, we continually monitor the condition of our stock. We carry out daily, weekly and seasonal repairs as well as larger, planned maintenance projects. We also carry out regular stock condition surveys to assist our staff when scheduling repairs. Furthermore, we have a company-wide commitment to continuous improvement, sustainability and environmental improvements. 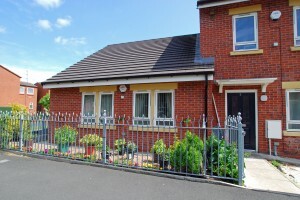 Repairs to some parts of a property will be the responsibility of Ashton Pioneer Homes whilst other repairs are the responsibility of the tenant. As a tenant, you will be responsible for maintaining certain items. If you are unsure about who is responsible for parts of our property, click our simple at-a-glance guide below*. When you report a repair you can request a morning or afternoon appointment and when possible we will provide a specific time to suit you. In addition you can also take advantage of our ‘Tenants Own Key’ system. This allows you to leave a key at our office for the contractor to use to access your property if the appointments available are not accessible for you. Please try to provide us with as much information as possible when reporting a repair. This will help to ensure that the right work and priority is recorded and will aid us to deal with your request promptly and efficiently. Once a repair has been carried out, you will be invited to complete and submit a simple questionnaire about how satisfied you have been with our response. This will assist APH to monitor how satisfied our tenants are with the service they receive and allow us to improve our services wherever necessary. All completed questionnaires will be entered into our monthly draw with one tenant winning a prize each time. At Ashton Pioneer Homes we pride ourselves on our fast and efficient repairs service. If you report an item that needs attention we will arrange a time that is convenient with you to conduct the repair. Attended within 4 hours. May affect safety, security or health. Includes burst water pipes or leaks, gas leaks and failure of heating systems during winter. Attended within 48 hours. Includes most electrical problems, dangerous glazing and broken toilet pans. Attended within 7 days. 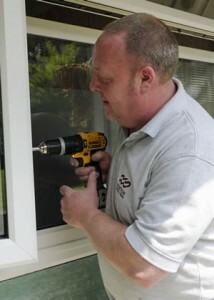 Includes repairs to doors, windows and kitchen units. Attended within 28 days. Includes plastering and constructed items, such as gates, fence panels and replacement external doors. You are responsible under the Terms of your Tenancy Agreement to repair any damage caused to your home or communal areas by you, members of your family or visitors. If APH have to carry out a repair that is your responsibility a charge will be made against you for the cost of completing the works. The cost to complete the repair will depend on the work completed and the charge will be applied regardless if the damage is deliberate or accidental or not normal wear and tear. Residents will be asked to pay a minimum of 50% cost of rechargeable repair prior to the repair being completed unless the repair is a risk to Health and Safety. APH may refuse to carry out the work until full payment has been made in some circumstances. Please note that if you have an outstanding recharge account and have not attempted to repay the money you owe, we will not carry out any non-essential repairs to your home.